The residents of Cottonwood, Kentucky are sent into a tizzy when the Culinary Channel comes to town to film an episode of Southern Home Cookin' with celebrity chef Frank Von Lee. Especially Sheriff Kenni Lowry. Her mama's award-winning chicken pot pie is what brought Frank to town, and they don't make hair in the South bigger than her mama's ego is after hearing the news. 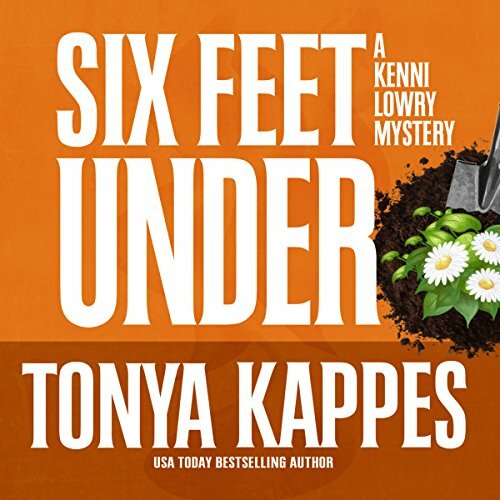 In <strong>Six Feet Under</strong> by Tonya Kappes, things have been going smoothly for Kenni Lowry, sheriff of Cottonwood, Kentucky, when the ghost of her poppa, the previous sheriff, makes an appearance. This suggests trouble, as Poppa only shows up when a murder has happened. 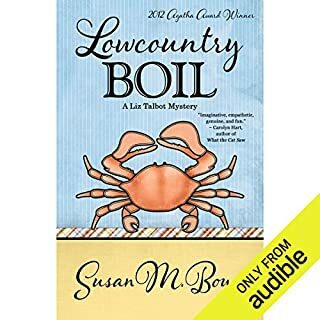 But Kenni has no time to worry about this event because famous television chef Frank Von Lee is about to come to town and feature Kenni's momma and her winning chicken pot pie on his show Southern Home Cookin'. Momma is so excited yet stressed about this that she has clearly gotten botox and other work done on her face and is highly on edge. 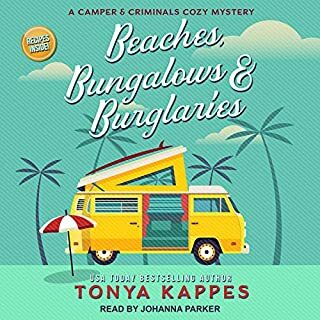 Then Kenni gets a call that Frank Von Lee has been found dead in his hotel room. He has been poisoned, which caused a heart attack. On his side table is the start of a scathing critique of Mama's chicken pot pie, despite the fact that Mama wasn't scheduled to make the pie for Frank until the next day. And with Mama's having been seen in the hotel around the time that Frank would have ingested the poison, she is the chief suspect. 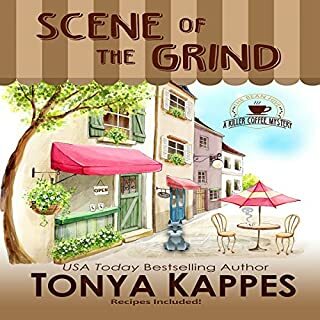 Kenni must rush to find evidence to clear her mama before she gets removed from the case for being the daughter of the chief suspect. She gets ably assisted by Finn, her deputy and boyfriend, as well as her bloodhound, Duke. Poppa helps out as well, but not as directly as he did in previous books. He seems to cede some of his roles to Finn, and in this book, Kenni goes against the advice of Poppa in clever strategies that work effectively. 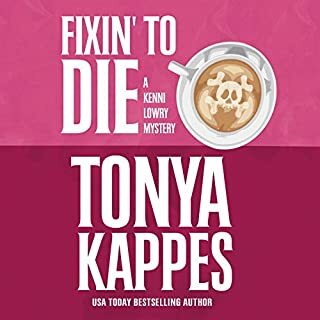 I have enjoyed the Kenni Lowry series, and <strong>Six Feet Under</strong>, the fourth book in the series, is another good addition to it. The concern about Kenni's mama adds an extra layer of intrigue to the book. Besides the murder, Kenni has to deal with a rash of fake pink handicapped placards, and even her mama is sporting one. Kenni's manner of addressing the fraud, along with a fake botox ring, is a highlight of the book. The book is full of local flavor and fun depictions of small town life in Kentucky. Kenni points out the fact that in Kentucky, you can find Northern standards and accents and then drive two hours to find Southern values. Kenni's town is clearly on the Southern side of the culture, which we see in Kenni's interaction with the Northerner Finn. 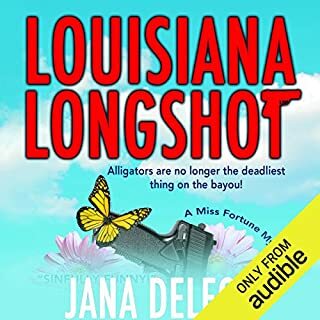 Hillary Huber performs the audiobook of <strong>Six Feet Under</strong>. 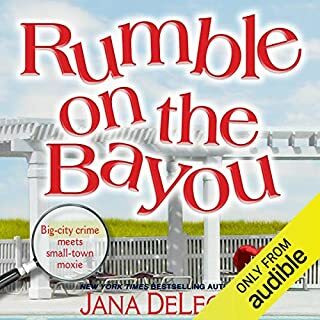 Using a gentle Southern accent for her narration, she sounds perfectly natural as if that is her native accent. I have heard Huber perform other books without a Southern accent, yet I cannot tell which is her normal way of talking. She does a delightful job of making the book realistic. I had a good time listening to <strong>Six Feet Under</strong>. The book was full of interesting details, with a creative plot and fun personal developments between Kenni and Finn. I give this book five stars! The storyline and narrator is the best. Can't wait to start the book and the anxious for the next book.